I have done SAP ABAP from Aspire.Faculty is too good...nd they solve the problem.They always ready to support.They give the opportunity for the students. SAP technology delivers its clients and partners the technology to cope up with ever changing business requirements to get competitive edge over the market while reducing the costs. The SAP skills take you ahead in the digital transformation to tackle most challenging projects. In Advanced ABAP you will get theoretical knowledge and practical skills related to object oriented concepts of ABAP. You can develop object oriented programs. You will be trained in ALV GRID control and developing complex interfaces to programs, develop web dynpro techniques. You will be able to customize SAP standard applications and Unicode as well as dynamic programming. Training delivered for this course at Aspire is by professionals who are working in the field since last 6 years. They have hands on experience in SAP implementation/ support projects. Aspire also provides value added training sessions on Interview preparations beside 100 % placement assistance. Our well equipped labs and infrastructure will give you a practical training approach. 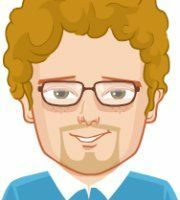 This course in Advanced ABAP will differentiate you in crowded market. Great faculty support and in depth review.weekend shift was good for me so it took 3 months for the course to complete. overall good centre to get uyourcertifications done from. Best course content with Interview perspective. 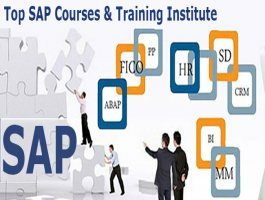 Best training institute in Pune for SAP ABAB. Gain pretty good knowledge from here.